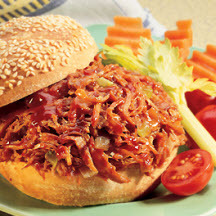 CooksRecipes has quality, kitchen-tested recipes for a variety of barbecue sandwiches that you can count on for successful deliciousness. 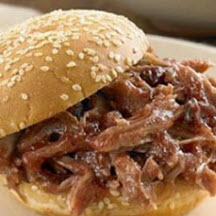 These sandwiches are a great choice for party food, perfect for just about any occasion. 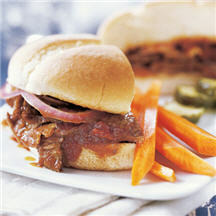 These tasty sandwiches are slow cooked with apple sauce and Worcestershire sauce creating great flavors.